The heat may be on outside, but you’ll be kept as cool as a cucumber with this sensational window air conditioning unit by Danby. 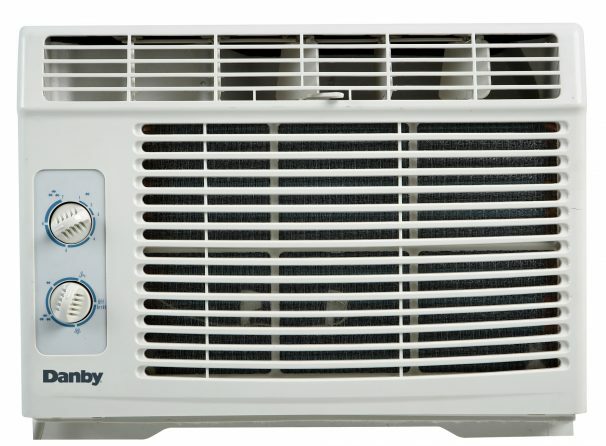 The appliance has a 5,000 BTU-capacity and can keep areas up to 150 square feet in size nice and comfortable. It can’t be beat when it comes to cooling down your room, office, apartment or condo with the two separate fan speeds and two-way air direction. The unit is easily programmed by the trendy mechanical controls. The removable air filter makes cleaning a breeze and you’ll save on electricity bills with the splendid 11 energy efficiency rating (EER). The R410A refrigerant makes it environmentally friendly and the variable temperature control allows you to program the air conditioner anywhere between 17°C and 30°C. 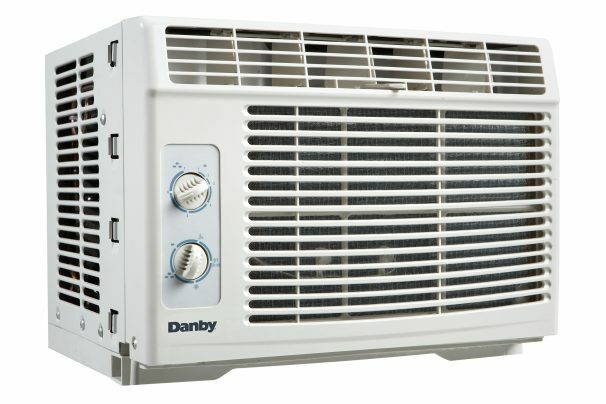 This user-friendly window air conditioner also features a 12-month warranty on parts and labor with carry-in service.